With Steve Earle and his estranged son Justin Townes Earle seemingly locked in and escalating war over who can release the most music in a short time span, music fans have had a lot to look forward to. 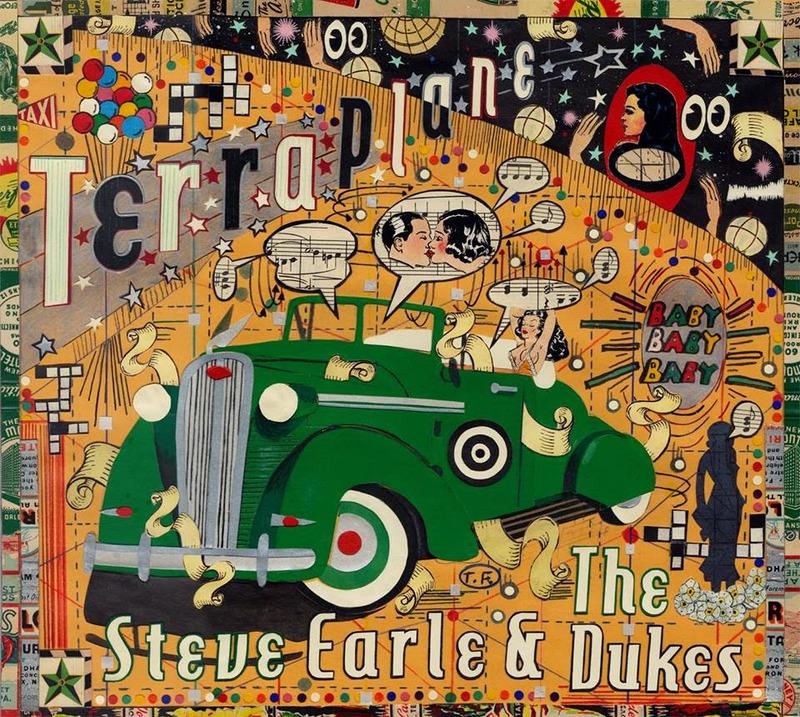 After Justin recently released his Absent Fathers album (review here), big papa Steve returned last week with his latest, Terraplane. The very first thing you hear on Terraplane is the blast of harmonica, letting you know that you are in for one of Earle's bluesier records. And he doesn't disappoint. The most familiar blues arrangement comes on the very traditional "Acquainted With the Wind". It's full on country blues for "You're the Best Lover That I Ever Had". A shuffle is added to the harmonica jam on "The Usual Time". Earle takes a more introspective turn for "Better Off Alone". The deep bottom-heavy "King of the Blues" lives up to its name. The half-spoken story song "The Tennessee Kid" is a surprise standout. It sound like a countrified version of something you would find on Tom Waits' Nighthawks At the Diner album. Not everything on Terraplane makes you want to wallow in your whiskey. Despite it's lyrics about shirking one's responsibility, "Ain't Nobody's Daddy Now" is a surprising toe-tapper. "Go Go Boots Are Back" is a Drive-By Truckers-style Southern Rocker. Swapping vocals with band member Eleanor Whitmore, Earle creates a fiddle-power stroll with "Baby's Just As Mean As Me". As far as the duel between father and son go, Steve has a huge leg up in this latest salvo. Best tracks: "Baby's Just As Mean As Me", "The Tennessee Kid"